Good morning, this is today's post at the Rubber Buggy. I stamped the image with Tuxedo Black, my ink of choice when using Copic Markers, then I colored the image with assorted colors of Copic Markers from this set and this set and this set. Some Walnut Ink was used around the edges of the cardstock before assembling my card. If you need some ideas for place settings or candy gifts this year, check out my latest post on the Classy Cards and Such blog. Isn't this Penguin just the cutest you've ever seen? 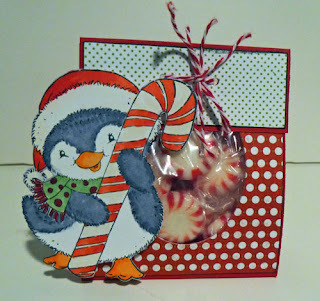 Some of the new Stampavie Christmas stamps can be used for projects other than a card because they are a little larger and lend themselves perfectly for place settings or candy bags for someone special on your Christmas list. Cut cardstock 3 1/2" x 10". Score at 4", 4 1/2", 5" and 9". Accordian fold on the first 3 score lines and fold on the last one. Cut pattern paper from the Bo Bunny Mistletoe Collection to fit the front of the bag and the flap and then adhere. 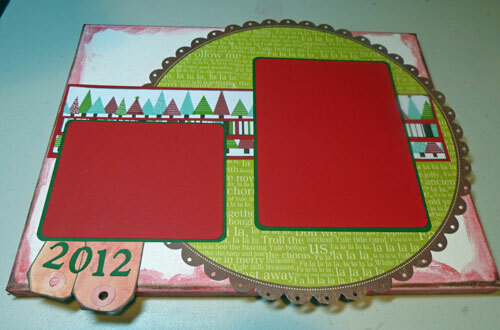 Line up a Spellbinders oval die in the center of the front and die cut through the two layers. Stamp the Penguin on Cryogen white cardstock, my cardstock of choice when using Copic Markers. 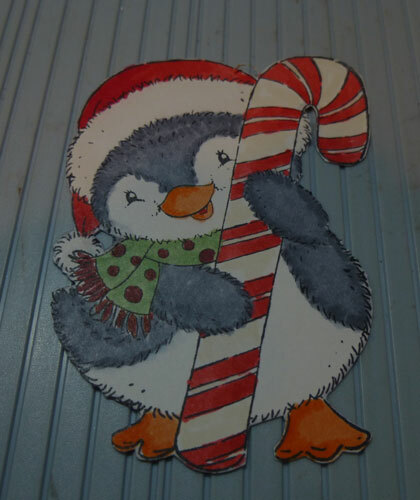 Color the image with Copic Markers - several shades of red for the hat and candy cane, yellow-red for his beak and feet and then C3, C5 and C7 to color his fur. Fill a cellophane bag with peppermints. Punch two holes through all layers (including the cellophane bag) and tie with Twine. Adhere the Penguin to the bag with Joy foam adhesives, being sure not to adhere it to the flap. The accordian bottom allows the candy bag to stand on it's own, so why not make several of these for friends and family this holiday season. 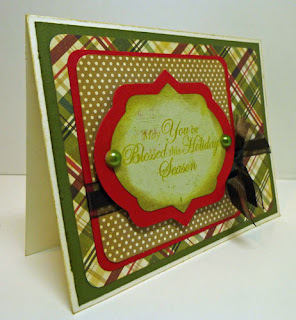 I've used the Winter Scalloped Oval 3 stamp set and the coordinating scalloped die - what a great combination. 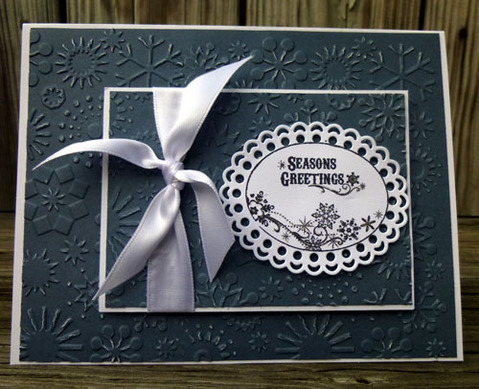 The background paper was embossed with a Snowflake Cuttlebug Embossing Folder. In keeping with the snowflake theme, I used the Snowflake stamp by stamping it with black ink and then heat embossing. I can think of nothing better than creating a canvas to showcase holiday photos. As we get closer to the holidays, it's time to start preparing holiday gifts and decor. This is my post at Scrapbookpal today. 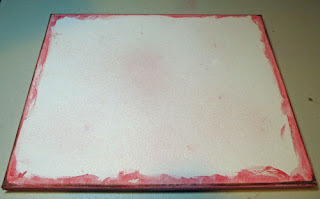 I began with an 11" X 14" canvas - covering the edges with Faber Castell Gelatos and water for a water colored effect, bringing the color into the canvas. 2 tags were also painted and put aside to dry. I spritzed some Tattered Angels Persimmion Glimmer Mist on the center of the canvas. 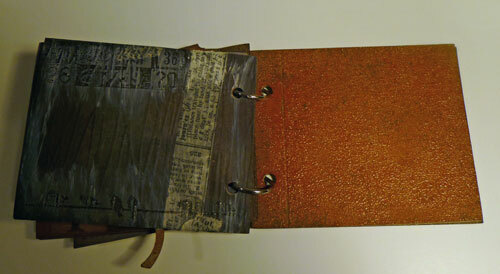 Once dry (and it didn't take too long), I ran a brown ink pad along the edges of the canvas and the tags. Select your papes of choice and determine their positioning. 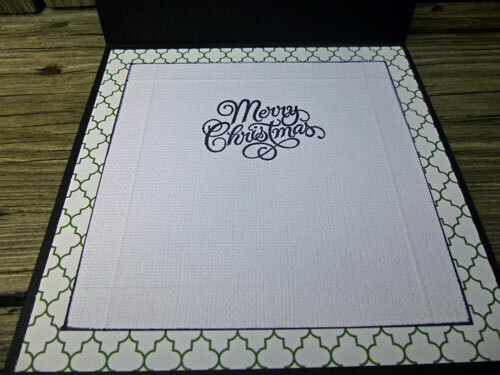 I selected a piece of Making Memories circular Christmas paper as the base, placing it along the right side of the canvas, allowing the edges of the paper to fall off the canvas. 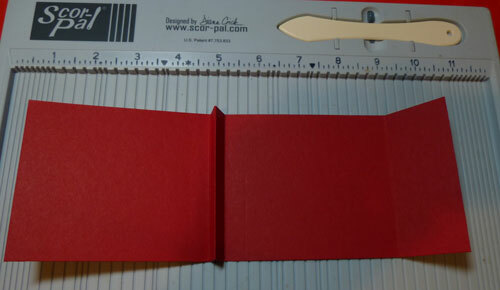 I then cut some Christmas Tree paper to 3"x 12", inked the edges with brown ink and then matted it with red cardstock. The striped paper was cut 3/4" x 12" and also matted with red cardstock before placing it on top of the tree paper. Since this piece was to span the length of the canvas, I needed to make it fit, so I cut it approximately 4" from the right edge and allowed it to spread. A large photo mat was created to cover this section so the missing piece would not be visible. I adhererd these pieces to the background paper. The photo mats were cut 5 1/4" x 7 1/4" and 5 1/4" x 4 1/4" from red cardstock. Green cardstock was cut 5 1/2" x 7 1/2" and 5 1/2" x 4 1/2". Each piece was corner rounded before adhering together. The photo mats were then adhered to the background sheet. The date was cut at 3/4" using the Cricut Expression and the Cricut Plantin Cartridge and adhered to the tags with Xyron adhesive. The tags were placed under the photo mat, slightly off the canvas. This entire piece was then glued to the canvas as one unit using Beacon Adhesive for a strong hold. 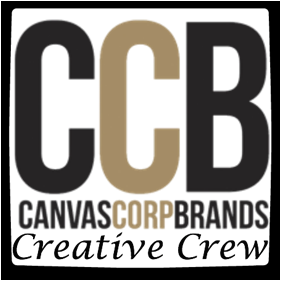 Be sure to turn over the canvas and rub the canvas to get a good bond. With Beacon Adhesive there is NO paper warping as you'd find with white glue. So, please be sure to use it. 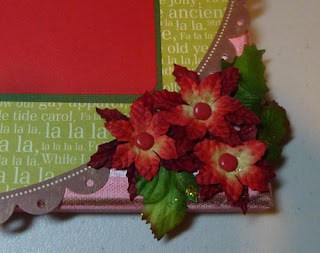 Pointsettias were assembled together with brads and then adhered to the right corner with Glue Dots. The leaves were also added with Glue Dots, but they were "positioned" with secondary Glue Dots to hold them in place. The sled was cut from red cardstock using the Quilted Christmas cartridge at 3 3/4". Layer1 + sled was used to cut the sled topper and runners from gold cardstock A. Layer2+ sled was used to cut the packages from green cardstock. Shift + Layer2 was used to create the secondary package layers. Once the packages were assembled, I lightly inked them with brown ink before placing them on the sled - it added a little more definition. The sled was then added to the upper left corner of the canvas with Beacon adhesive. Christmas was cut at 1/14" from the Calligraphy cartridge. I used the shadow feature because I wanted the letters a little thicker. 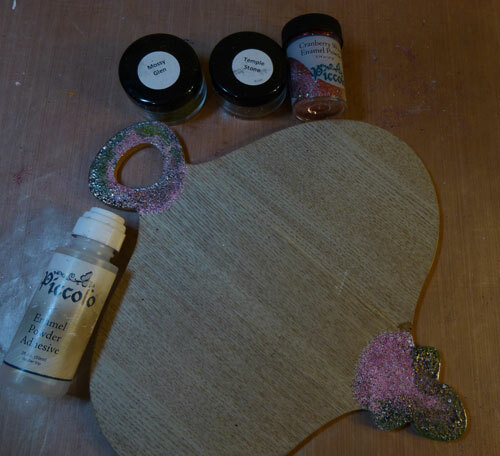 Rhinestones were added to several tree tops as well as down the center of the canvas and as the dot over the "i". I added some ribbon in the tags to finish them off. All you have to do now is add photos and hang. 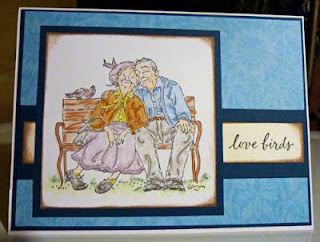 Check out today's post at Classy Cards n Such. Using papers from the Simple Stories Handmade Holidays, paper pack, I combined stripes and dots, placing cardstock between the layers. 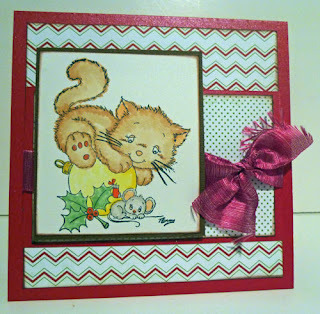 I tied some ribbon around the smaller block before adhering it to the card front. Rather than stamping and coloring an image, I used a large sentiment from JustRite Stampers Nature's Nested Sentiments set, stamping it with Tim Holtz Crushed Olive Distress Ink because I wanted a subtle look to the sentiment. Check out Prickley Pear's posting today. The designers are showcasing ornaments. I used these these Victorian Ornaments 2 and the coordinating Ornament Die. 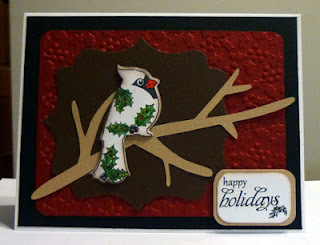 These are truly fun stamps and dies to work with and there are so many creative opportunites. I added color to the ornaments with Zig Markers. I threaded Maraschino Twine from the Twinery through the ornaments before placing them on the card which I embossed with a Cuttlebug embossing folder. Hope your day is full of good friends, food and fun. I used an assortment of Zig pens to color the wreath. 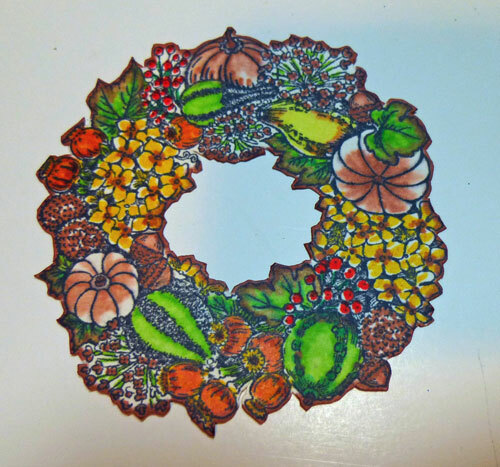 I cut out the wreath and then inked the edges with Clearsnap Ink. The lamp post was cut from black and yellow cardstock. A layer of Glossy Accents was added to the yellow. 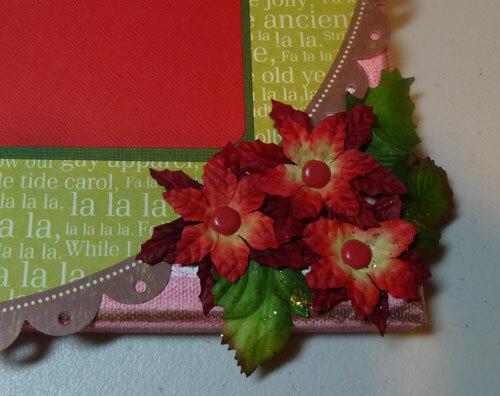 The wreath was added to the card with foam adhesives for dimension. The sentiment is a Hero Arts stamp. This is my post today at the Rubber Buggy - Tilda with Flower Pot . This is such a sweet image and can be used for each season - just change up the color of her clothes and the flowers. Tilda was stamped on Copic X-press-It cardstock and then colored with Copic Markers. 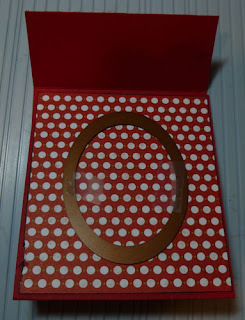 She was cut out and added to the black mat with foam adhesives for dimension. The background paper is Magnolia's Bumblebee paper and is a perfect backdrop for this summery card. I'm thinking she'd look great as a winter gal with shades of red and blues. So, till next time. It's a new challenge at Cornish Heritage Farms (CHF) and Kristine has asked us to use trees on our projects. Have you seen the amazing trees in the store? I used the Fir Tree Winter Scene Digital Stamp for my card. 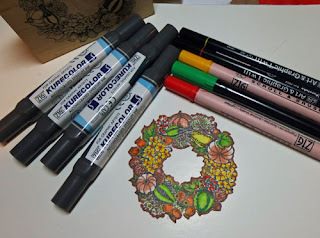 I love the intricacy of the stamp and how easy it is to color. After coloring the image with Copic Markers, I cut it to size and then used Ranger Antique Linen Distress Ink around the image. Then I matted the image with brown cardstock before adhering it to the card. 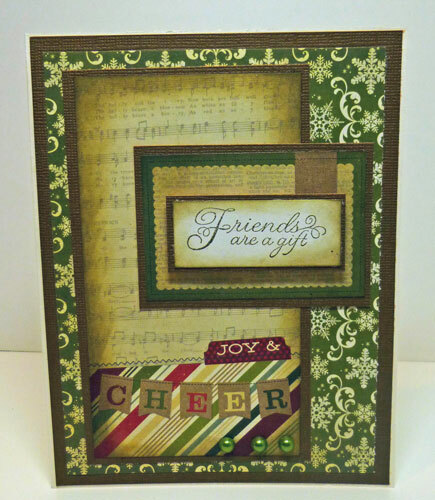 The sentiment is from the Night Before Christmas which I stamped in black and then used Ranger Antique Linen Distress Ink around the edges. Visit the list of blogs below and leave a comment on each by Nov 27, 2012 at 11:59 PM PST. 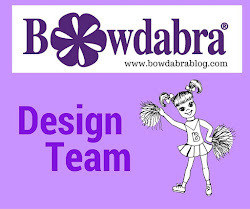 Each day we will be sharing a brand new list of blogs with brand new projects for you to explore, be inspired by, and create from! 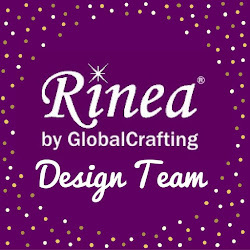 My first project is a card using a combination of awesome products from our sponsers. 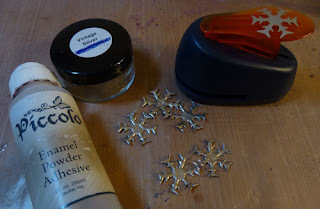 I first punched some snowflakes with the Fiskars medium Snowflake Punch, then covered them with Globecraft Memories Piccolo Enamel Powder Adhesive and Vintage Silver Enamel Powder. As each snowflake cooled, I added additional Silver Powder to create 3D snowflakes. I finished with a light layer of Glastique to make the snowflakes come alive. 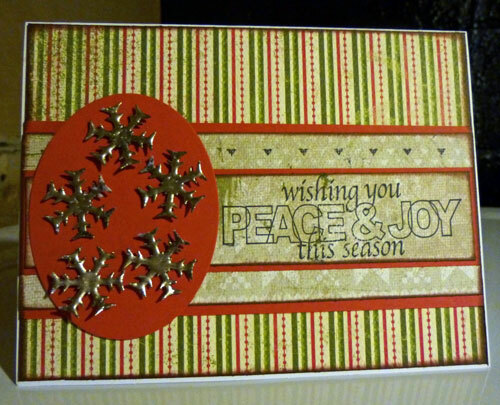 I cut the Authentique Festive paper to create my card base, then cut the Peaceful snowflake paper for the center of the card. The "Peace" Hampton Arts stamp was a perfect mate for the papers and snowflakes and I stamped it with Clearsnap Ink directly onto the Authentique paper. To finish, I created an oval mat onto which I added the snowflakes to finish off the card. 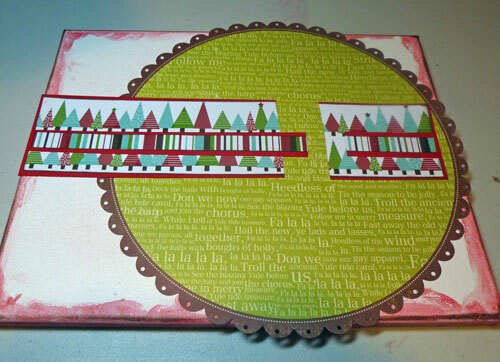 To make the snowflakes pop off the oval, I used Tombow Power Tabs to provide some dimension. My next project is a local craft store find and I knew it would be perfect for this blog hop! I began by adding Cranberry Wine Enamel Powder to the top and bottom of the ornament. 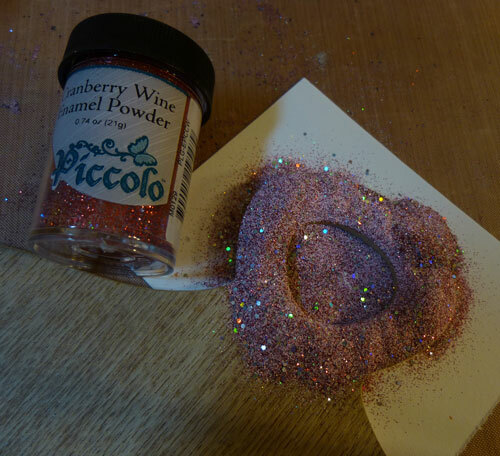 I was very generous because the powder goes a long way and the excess goes right back into the jar. Once this first layer was heat set, I added a combination of Mossy Glen and Temple Stone to create a metallic look to the edges of this wood ornament. Once I was finished with these areas, I used Authentique's Festive paper line and traced the outline of the ornament on the back of the paper and then cut it out. 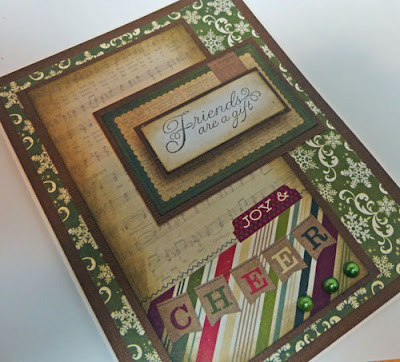 I used Clearsnap's Mix'd Media Inx around the pattern paper before adhering it to the wood base with Tombow Mono Liquid Glue. 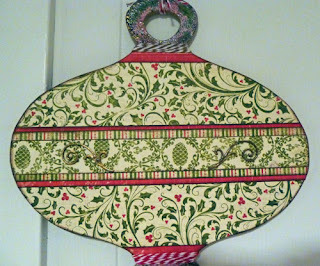 I then cut up several additional pattern papers and inked all edges before adhering them across the center of the ornament with Tombow Mono Adhesive Power Bond. Using Piccolo Card Decor set #2, I coated each piece with Copper Kettle three times, heat setting between each layer, then added some Glastique to the pieces when they cooled. The Glastique made the elements easy to handle and very pliable. Since I had the Glastique in my hands, I used the Glastique as an adhesive to adhere the pieces to the ornament. 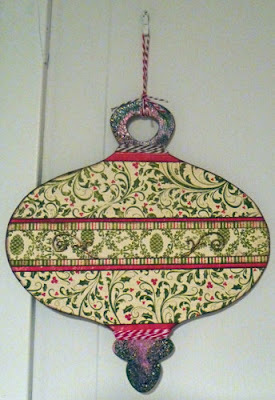 To finish the ornament, I cut some scraps of red cardstock and adhered them before wrapping some Maraschino Twine around the ornament's base and some Cappucchio Twine around the ornament's top. Then I twirled both colors together and tied them to the top of the ornament and created the hanger. 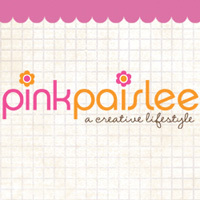 I want to send a big thanks to the sponsors of this hop who generously provided products for this blog hop. 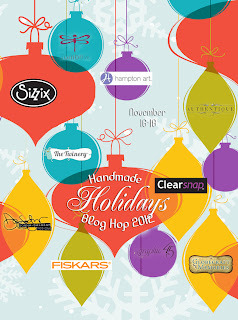 Thanks for stopping by today and remember to visit each designer's blog for a chance to win some fabulous prizes. This is my recent post for Classy Cards and Such. It's getting near Christmas and it's time to start those Christmas cards. Since Friendship and Christmas go hand in hand, there is nothing better than creating a hand made card for a friend. Sometimes the simpler cards make a dramatic impact. Using Justrite's Friendship Nested Sentiments stamp set, I stamped a sentiment in brown ink, then used Tim Holtz Bundled Sage Distress Ink around the edges. After matting it on brown cardstock, I created a patchwork background using papers from Simple Stories Handmade Holidays. Each layer of paper was inked with Bundled Sage Ink and matted on brown cardstock before adhering to the card. 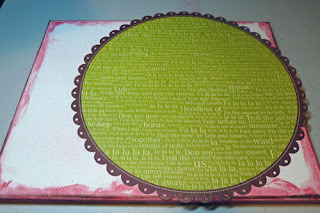 The sentiment layer was added with Joy Foam Pads as I wanted it to stand out from the card. Some beautiful Christmas green pearls were added to the bottom of the card. All items can be purchased in the Store. Did you know that Magnolia creates some wonderful non-person images? 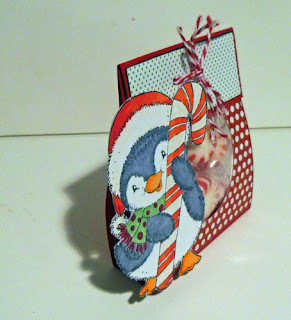 This Magnolia Candy Cane is perfect to use for Christmas Cards. Check out all the fabulous stamps (and other products) available at the rubber buggy. 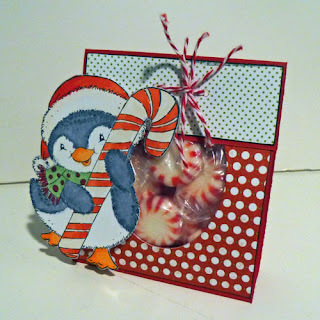 I first stamped the candy cane on Copic X-press-it cardstock which is perfect to use when you plan to color with Copic Markers. Next, I colored the image with Copic Markers, then cut it out before adhering it to my card. I created score lines across the bottom of the card with my Scor-pal and adhered the pattern paper to the front with Scor-tape. 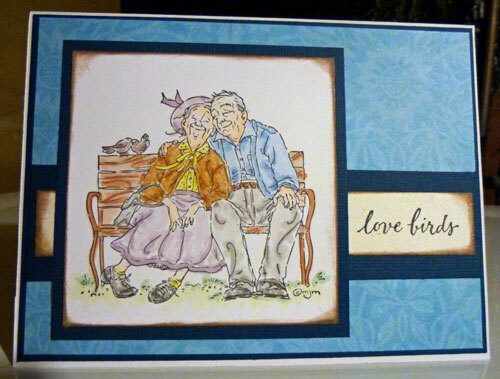 I stamped the sentiment inside the card and also created score lines for a little dimension. Thanks for stopping by today. 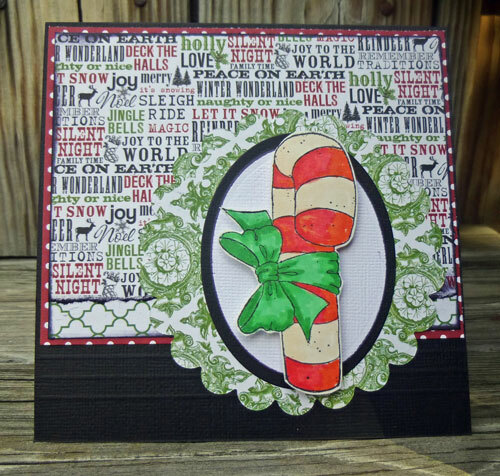 Be sure to see what the other designers have been creating at the rubber buggy. It's the Monday Reveal at Prickley Pear Stamps. 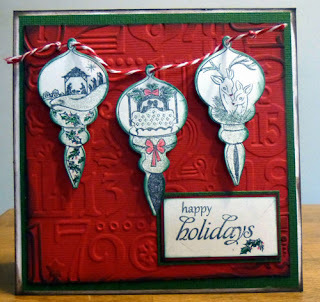 Today I'm using the Cardinal Clear Stamps 2 and the Cardinal Die, along with a sentiment from Victorian Ornaments 2. This stamp set includes 4 different Cardinals, a sentiment and 2 other stamps. 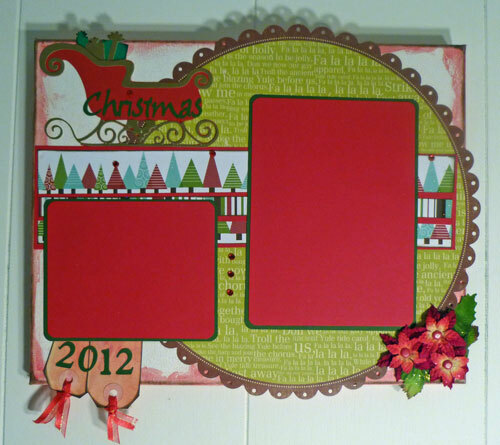 It's perfect for creating Christmas cards. The red background was embossed using a Sizzix embossing folder. The branch and the brown layer were cut using my Cricut Expression. The Cardinal was colored with Zig Art & Graphic Twin Tip Markers. 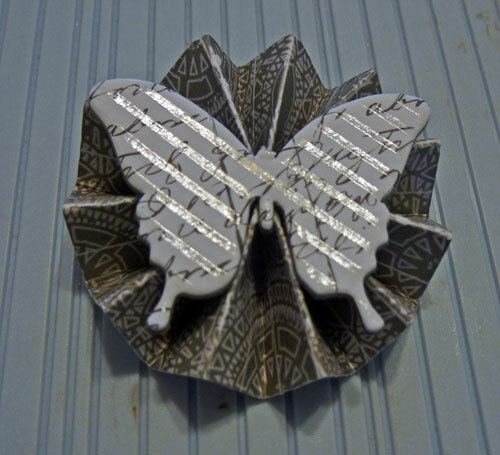 Head to the Prickley Pear Store and check out the awesome stamps and dies they have in stock. 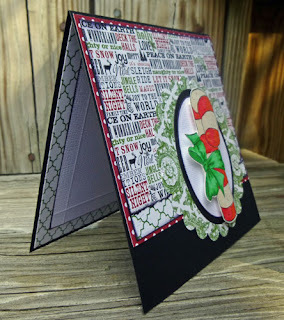 Here's a fun mini album I created this month for Scrapbookpal. The album itself measures approximately 4" x 5". I used an older Sizzix book die I've had forever, but you could easily recreate this mini album by cutting chipboard to the size you desire. Since I wanted some substance to this album, I adhered 2 pieces of chipboard together for each cover, used chipboard for each page and then covered each page with cardstock. 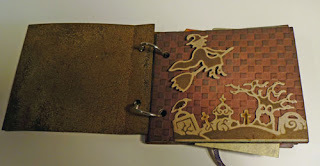 For the cover, I inked the chipboard with Spiced Marmalade, then added embossing powder. Once heat set, I used an inking tool and added Walnut Ink across the cover. I then used a paper towel to remove some of the ink. 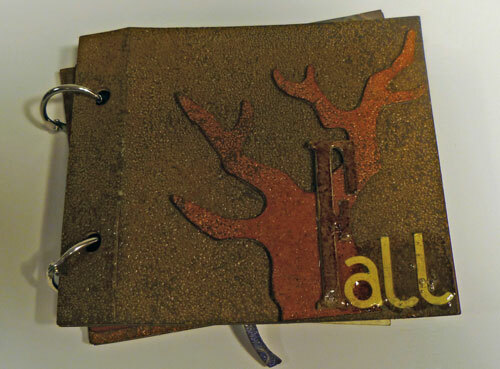 The tree was die cut and inked with Rusty Hinge. 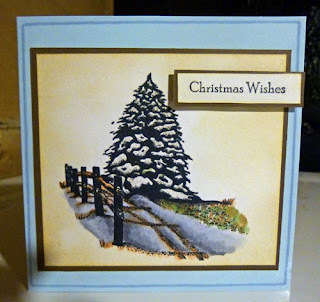 A layer of embossing powder was added and the tree was heat set. Some Walnut Ink was added to the edges. "F" is a grungeboard letter which I inked with Walnut Ink and then adhered to the tree along with the lettter stickers. 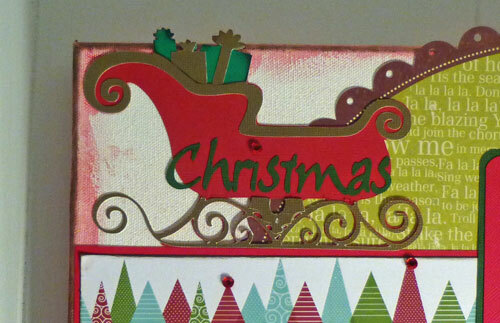 Glossy Accents was used as an adhesive as well as dimensional adhesive over the word. The page was embossed with an embossing folder, then lightly sponged with Walnut Ink. 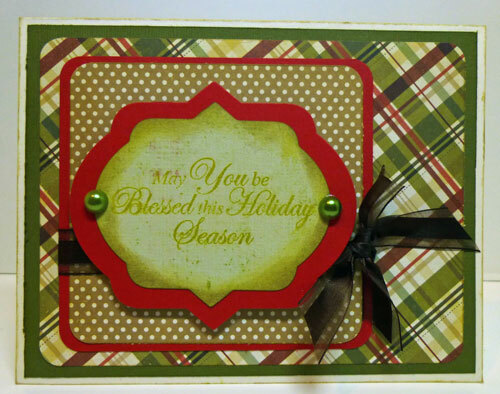 Spellbinders die cut were used to die cut chipboard elements. Before removing the elements from the dies, I sponged each piece with Walnut Ink. A tree bark embossing folder was used on the left side and Alcohol Inks were sponged on top. A picture was added as was a ticket letter which had been sponged with Spiced Marmalade. 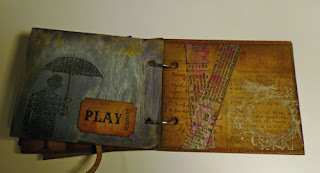 A spider web embossing folder was used to create the backgound on the right side and Antique Linen Ink was sponged over it. Letters were cut into squares and added on top, along with a die cut tombstone. 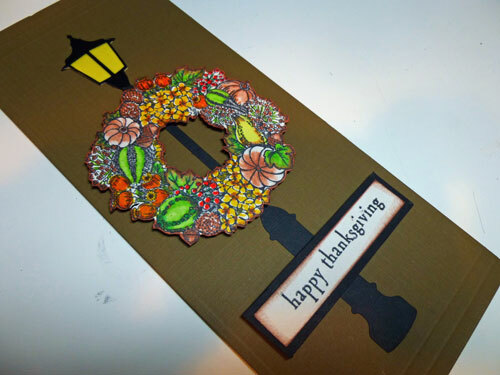 A large leave was die cut from Grungeboard, inked with Crushed Olive and folded before adhering it to the page with staples. 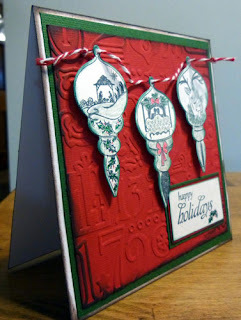 The house is a Sizzix die that was cut from Grungeboard and inked with Antique Linen. The roof and porch were cut again and inked with Walnut Ink before adhering. Yellow cardstock was added under the house to give an appearance of light. White paint used on black cardstock and wiped away to show some discoloration. An Umbrella Man was stamped in black ink and embossed with Clear Embossing Powder. A ticket was inked with Spiced Marmalade and added to the left side. Tissue tape was inked with alcohol ink before adhering to the right side. A stamp was place off center with white paint. The left side piece of pattern paper was inked with Black Soot and Tissue Tape was added on top. To create a "rusty" effect on the back cover, I covered the chipboard with Rusty Hinge and added Clear Embossing Powder. Once heat set, I inked over the piece with Walnut Ink. This was truly a fun mini album to make and share for Halloween.